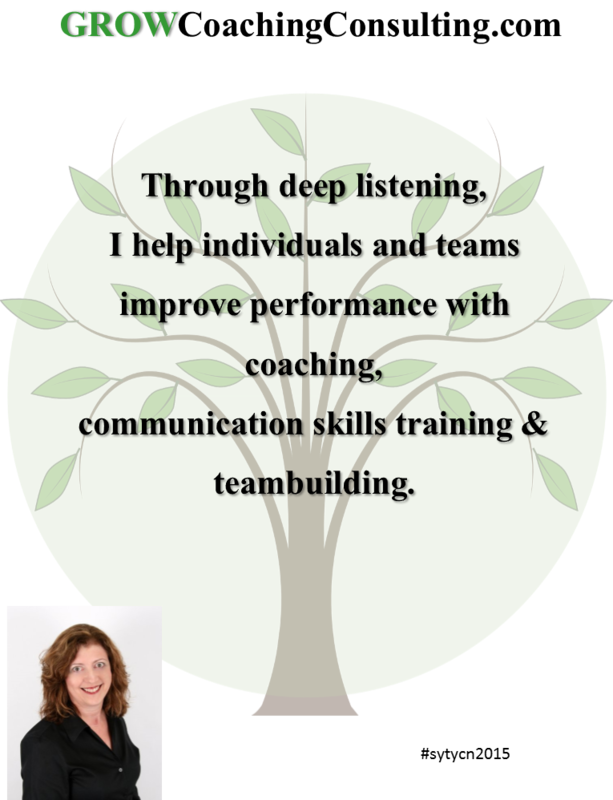 Through deep listening, I help individuals and teams improve performance with coaching, communication skills training & teambuilding. growcoachingconsulting.com #sytycn2015 Niching Contest Participant Comments: Gwen Riedl’s Reflections: Thanks, everyone! Your feedback is tremendously helpful.